When the oil and gas industry grew thanks in no small part to the advancement of drilling in shale plays, one of the things the industry noticed was a lack of qualified workers. 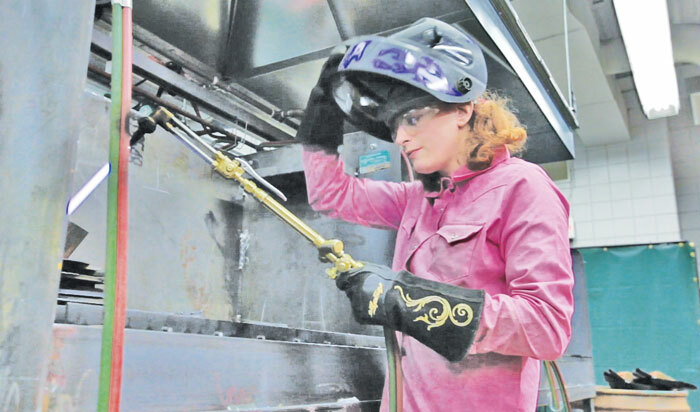 There were many reasons for this including a push to send high school graduates to four-year colleges as opposed to the trades, those who were in the trades left for new careers and a desire by some in the trades to eschew traveling in favor of work closer to home. 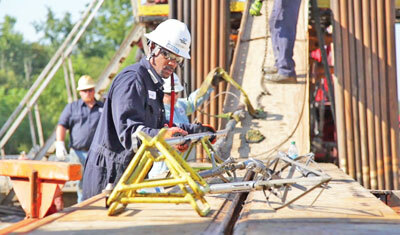 Five years ago, as the Marcellus and Utica shale plays When the oil and gas industry grew thanks in no small part to the advancement of drilling in shale plays, one of the things the industry noticed was a lack of qualified workers. Five years ago, as the Marcellus and Utica shale plays were coming into its own, the Ohio Oil and Gas Energy Education Program (OOGEEP), an industry-funded non-profit, began the task of compiling a list of qualified programs to benefit the industry in Ohio. OOGEEP mandates include developing and implementing educational materials and workshops in schools and the production of materials and training workshops for the industry. The result of this five-year process is the “Oil and Gas Careers in Ohio Series,” an online resource and printed book that compiles 75 of the key jobs in the oil and gas upstream and midstream sectors. The series also identifies more than 70 institutions that offer training programs in those careers. To help make the compilation a reality, OOGEEP hired Charlie Dixon as its full-time safety and workforce director to assist in program auditing as well as the organization’s other outreach and education efforts. Because OOGEEP wanted to compile the best resource possible — as opposed to just listing every program in the state — Reda, Dixon and other industry professionals personally audited many of the schools and programs listed in the books. Established programs, like Marietta College and Penn State’s petroleum engineering program were not audited. OOGEEP also worked with the Ohio Department of Education and the Ohio Board of Regents to identify programs. By physically auditing the programs OOGEEP, was able to ensure that the list was more than a spreadsheet of courses, but truly the best programs available in the region. The end result is OOGEEP’s continued involvement with the schools to help advise and maintain programs. In some instances, auditors visited similar established programs in other states to bring that knowledge to Ohio. The “Oil and Gas Careers in Ohio Series” helps connect the industry to qualified programs and therefore potential new hires and in some cases, the industry can send its employees to the programs to take advantage of the training. The other thing that the five-year process revealed, and it came as a surprise to Reda, was how big of a disservice the industry has done when it comes to pursuing the trades. Reda adds that as in industry, the focus needs to shift to help students and adults alike enroll in career-tech programs. From what OOGEEP learned from high school guidance counselors in the state was that approximately 21 percent of high school graduates will go on and get a college degree, leaving 79 percent out there looking to go into a trade or some other non-degree program job. Oftentimes one of the things, hampering a student’s progression to a career-tech program, is the lack of financial support. What OOGEEP learned was that there were not a lot of student loans or grants that covered non-degree certificate programs, so the organization made great strides to include career-tech programs in its annual OOGEEP scholarship program. The online component of the Oil and Gas Careers in Ohio Series features not only PDF documents of the different careers — which highlight the job description, typical education level and education and training facilities that offer the program — but also a list of programs available by school. This allows someone set on attending a particular school or career-tech program, Cuyahoga Valley Career Center for instance, to see what offerings are available that pertain to the oil and gas industry. The entire resource is online at oogeep.org under the Careers & Workforce tab. Reda, Dixon and other OOGEEP staff update the list as it evolves, so the most current information is always available. As OOGEEP learns of new programs, the program is audited and OOGEEP lends its expertise where needed. 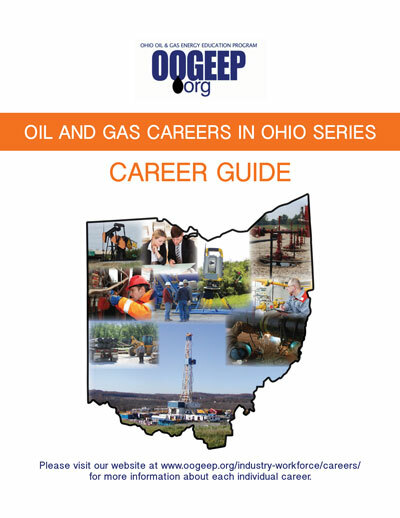 The OOGEEP Oil and Gas Careers in Ohio Series offers a soup to nuts listing of potential careers in the oil and gas industry with a focus on the downstream and midstream sectors. At this time, Reda says this is the only comprehensive listing like this available for a state, and OOGEEP has already spoken with similar oil and gas organizations in other states. Last year, Reda spoke at the Interstate Oil and Gas Compact Commission about OOGEEP efforts and how it can be duplicated in other states. 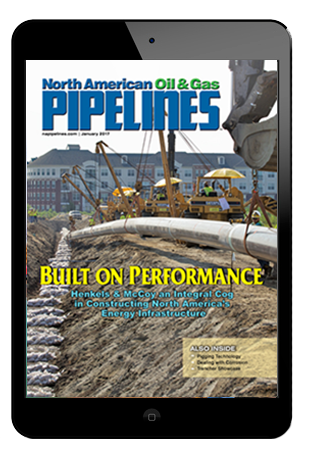 In the fall of 2015, OOGEEP shared the series with the American Petroleum Institute (API) as the organization looked at what the next step would be. With API’s help and knowledge of career development, OOGEEP expects to complete the video series in the fall of 2016. The videos will be available at the OOGEEP and API websites. As for the printed version, a limited run will be made each year for career fair purposes.